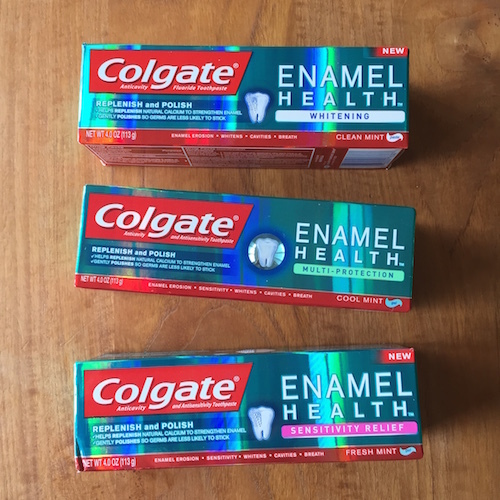 Try new Colgate Enamel Health Toothpaste for as low as $0.99 at Kroger with the Mega Sale going on right now and this printable coupon! As low as $0.99 after coupon and Mega Sale! Colgate recently sent me a fun little kit that demonstrates how this new toothpaste formulation makes for healthier teeth! The rough tile on the left is what our teeth can look like with daily wear and tear. The tile on the right is what our teeth look like when they’re smooth and strong. 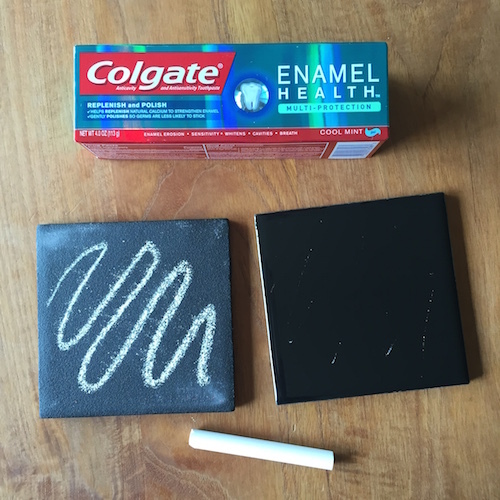 As you can see, it’s much easier to write on the rough tile, which demonstrates how germs are more likely to stick to your teeth when your enamel is rough. Colgate Enamel Health Toothpaste helps get your teeth smoother, so that germs are less likely to stick! But don’t take my word for it… For just $0.99 right now, why not give it a try for yourself? Disclosure: I received samples of Colgate products to facilitate this post, all opinions are my own.